Agoda offers an extra 7% off by making reservation via Agoda with your HSBC Card. The offer is valid until 31 December 2019. Get the deal. Please always check with the merchant on the validity of the promotion before purchase. Agoda offers up to 12% off on hotels & vacation rentals worldwide when you book with VISA Card. The offer is valid until 30 June 2019. Get the deal. Please always check with the merchant on the validity of the promotion before purchase. Agoda offers 7% off when you book hotels with DBS Black Card. The offer is valid until 31 December 2019. Get the deal. Please always check with the merchant on the validity of the promotion before purchase. Agoda offers up to 7% off on hotel booking with your with DBS Eminent Card / DBS COMPASS VISA. The offer is valid until 31 December 2019. Get the deal. Please always check with the merchant on the validity of the promotion before purchase. Agoda offers an extra 10% off on selected destinations. The offer is valid until 30 April 2019. Get the deal. Please always check with the merchant on the validity of the promotion before purchase. Agoda offers up to 17% off on Ho Chi Minh City hotel bookings. The offer is valid until 30 April 2019. Get the deal. Please always check with the merchant on the validity of the promotion before purchase. Agoda offers up to 11% off on hotel bookings in Oahu Hawaii. The offer is valid until 30 April 2019. Get the deal. Please always check with the merchant on the validity of the promotion before purchase. Become a host at Agoda and pay no fees or commissions ever! Become a host at Agoda and pay no fees or commissions ever. The offer is valid until 30 April 2019. Get the deal. Please always check with the merchant on the validity of the promotion before purchase. Agoda continuously provide half-price deals on hotel bookings. Please check out the link provided for more details and search for hotels through the specific link. T&C apply. Please always check with the merchant on the validity of the promotion before purchase. Agoda HK offers 11% off on selected Oahu Hawaii hotels. You do not need a code to get this offer. First come first served. Please check the merchant's website for details. T&C apply. Please always check with the merchant on the validity of the promotion before purchase. 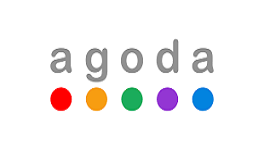 Agoda HK offers 11% off on selected Kyoto hotels. You do not need a code to get this offer. First come first served. Please check the merchant's website for details. T&C apply. Please always check with the merchant on the validity of the promotion before purchase. Agoda HK offers 17% off on selected Ho Chi Minh City hotels. You do not need a code to get this offer. First come first served. Please check the merchant's website for details. T&C apply. Please always check with the merchant on the validity of the promotion before purchase. Agoda HK offers 10% off on selected Krabi hotels. You do not need a code to get this offer. First come first served. Please check the merchant's website for details. T&C apply. Please always check with the merchant on the validity of the promotion before purchase. Agoda HK offers 10% off on selected Hat Yai hotels. You do not need a code to get this offer. First come first served. Please check the merchant's website for details. T&C apply. Please always check with the merchant on the validity of the promotion before purchase. Agoda HK offers 11% off on selected Venice hotels. You do not need a code to get this offer. First come first served. Please check the merchant's website for details. T&C apply. Please always check with the merchant on the validity of the promotion before purchase. Agoda offers 7% off worldwide hotels bookings with selected Hang Seng credits cards. The promotion is available until 31 December 2018. Get the deal to enjoy the offer. T&C apply. Please always check with the merchant on the validity of the promotion before purchase. Get HK$100 off when you spend HK$1,000 or more on flights every Tuesdays at Trip.com. Quotas apply on this promo. A specific destination/airline is posted every. Tuesday at 10 AM. Offer is only valid using BEA Visa Card to book flight tickets.. Please always check with the merchant on the validity of the promotion before purchase. Agoda offers 7% off Citi Platinum Cards or above. The promotion is available until 31 December 2018 for stays until February 28, 2019. Get the deal to enjoy the offer. T&C apply. Please always check with the merchant on the validity of the promotion before purchase. Agoda offers 7% off for DBS Platinum Credit Card, DBS Eminent Card and Compass VISA. The promotion is available for bookings until 31 December 2018 for stays until 31 March 2019. Get the deal to enjoy the offer. T&C apply. Please always check with the merchant on the validity of the promotion before purchase. Agoda offers 7% off worldwide hotels bookings with selected HSBC credits cards. The promotion is available until 31 December 2018 and available for stay until 30 June 2019. To enjoy the offers, booking must be made http://www.agoda.com/hna. Please always check with the merchant on the validity of the promotion before purchase. Are you planning to go somewhere, but can't decide on the accomodations? Perhaps you aren't sure if you are putting together the best travel plans or haven't found something that meets your travel budget yet. Well, the good news is, Agoda is here to help you find the best travel deals that will fit all kinds of budget. Agoda HK is one of Booking Holdings’ metasearch engines focused on the Asia Pacific region. You can use it to book hotel rooms and reserve flights. It is one of the biggest online travel agencies in Asia that has changed our way of travellling. Planning a holiday or business trip is so much easier now with the recommendations on Agoda. Plus, with their promotions and deals, Agoda HK is a sure way to go! Your next trip is right at your fingertips. With hundreds and thousands of choices, you don’t have to stress when it comes to selecting the best flight or hotels for your holiday. With the “Today’s deals” section on Agoda HK, you can find cheaper prices to certain destinations, with special prices especially for you. In Hong Kong, Agoda partners with banks like DBS and HSBC to bring you special promotions, especially with your credit cards. Before you click to make payment on Agoda, be sure to check back here for the latest roundup of Agoda HK promo codes and discount vouchers for some great savings! Agoda was founded by Michael Kenny by the end of 1990s with the name PlanetHoliday.com. The starting concept was to find out more about hotel reservations and travel informations. It developed into a multi million dollar company later on. In November 2007, Agoda was acquisitioned by Priceline.com, their third international acquisition. Their headquarters are located in Bangkok, Singapore and HK. In February 2017, Priceline announced a definitive agreement to acquire the Momondo Group. On July 17, 2017, EU antitrust regulators approved the acquisition. The Momondo Group, which operates Momondo and Cheapflights, will roll under Booking Holdings's travel meta brand, KAYAK. In August 2017, KAYAK acquired the assets, including the domain and user information and the mobile apps, of the Brazilian metasearch company Mundi. The Priceline Group Inc. change your name to Booking Holdings in February 2018. It acquisitioned numerous websites such as Booking.com, Kayak.com, OpenTableMundi, and many more. Agoda HK also lets you make bookings airport transfer, either from or to the airport. This is perfect if you don’t like riding in taxis. It works perfectly when you’re travelling in a group. It also comes a lot of perks. You get a private car and driver to yourself. Best of all, your airport transfer will wait for you if your flight is delayed, so you don’t have to worry about missing your ride. There is also have a budget prices for premium options. Booking your airport transfer via Agoda allows free cancellation on 99% of the rides. You don’t have to get anxious if your plans suddenly change. Lastly, you can be assured of 24/7 customer service, in case there are some issues you need to tackle. With global coverage in over 2,000 airports all over the world, booking your airport transfer via Agoda is really easy - just look for where you’re going, choose the right ride for you, and book and get confirmation right away. If you think that buying or planning your travel via the Agoda website is a breeze, wait till you check out the Agoda mobile app that is available on the App Store and Google Play! What's more, sometimes using the Agoda app gives you extra savings with their special App-only discount codes. Enter a destination or hotel you are looking for, put the dates you’re going to be staying, and how many people you are travelling with. You’ll see a list of hotels that you can choose. The hotels that are promo eligible will be tagged. To the left, you’ll find a filter for payment types, accomodation types, ratings, facilities, amenities, neighborhood, etc. When you find your ideal accomodation, be sure to check their cancellation policy, breakfast, and your payment options before booking. If you think you’re all set, book the room right away. Don’t forget to put the Agoda HK promo codes you find here at Cardable HK! For flights, the steps are similar. You need to pick if it’s round trip, one-way, or multi-city. Then key in where you are going. When the list of flights pop out, look at the filter to the right again. Pick what you need. To the right, you can see that you can compare flights on other sites. When you find the your deal, select it. When you book your flight, Agoda offers free online cancellation within the next 24 hours of purchase. Don’t forget to use the Agoda HK promotion code you have before you pay! Agoda HK has a huge selection of options that are ideal for your trip so it might be worthwhile to sign up as a member. When you create an account on Agoda HK, you might get special promotions and discounts for hotels, flights and airport transfers. Agoda HK offers many special promotions so the next time you want to plan your holiday and vacation, remember to check back here for discount codes that the Cardable HK team has put together for you for more great savings!